In an era where a fast-paced lifestyle is common to the daily productivity person, every second matter wasted on trivial things, such as the time that a computer takes to boot up, could mean an email not sent just before a flight, or loss of audience, thanks to an article published when the moment has passed. In this regard, Solid State Drives offer a faster storage solution, letting your computer bootup and ready for work in a matter of seconds after you turn it on. The Transcend SSD220S is a perfect example of such a device. Offering blazing fast read and write speeds combined with a small form factor that makes it a perfect fit even for those with small cases. There’s nothing really fancy about the packaging here. You get a simple box with all the information you’ll need, the SSD, and the usual documentation. Even when its shell is made from Aluminium, the SSD220S doesn’t have much weight to it. The design is as simple as you would expect. You get a slab of metal with the Transcend logo up front, and the product information at the back. On the side, you get the usual Sata 6gb/s and power connectors. The small 2.5″ form factor simply means that this device will fit even tight spaces in your case, and even in laptops. In this series of tests, we’ll test the SSD220S’s read and write speeds in a number of circumstances with some benchmarking tools and also monitor its temperature on idle and load. As this may just seem like a bunch of numbers, let me give a brief explanation as to what each one does. 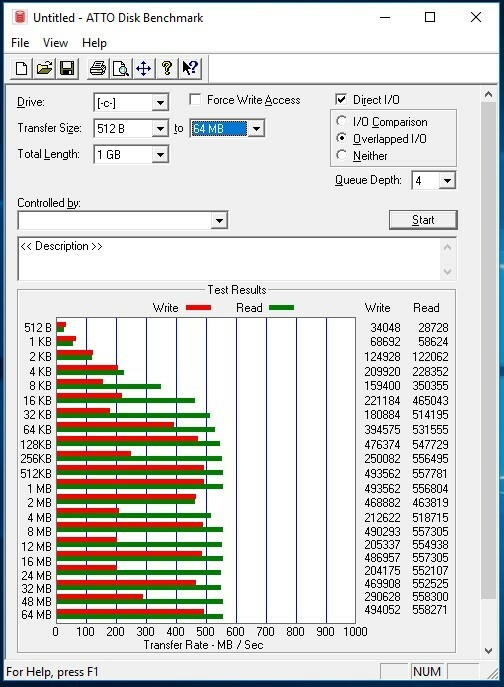 Though it’s common knowledge that SSDs are faster than HDDs, here’s a side by side comparison for read and write speeds. From the numbers, we can say that the SSD220S performs just as expected. It’s not the fastest out there, but it certainly does the job. Despite the small form factor, it’s also able to manage its temperature well. Having the SSD installed in my machine, switch-on to Windows 10 takes around 10 seconds, compared to about 15 seconds on my HDD, sometimes even longer. Do note that some games and applications may also benefit from an SSD, but not all. PLAYERUNKOWN’S BATTLEGROUNDS is a case in point, and loads noticeably faster when it’s installed in the SSD. The Transcend SSD220S is performs just as expected from a device of its class. Don’t let the simple design fool you. This thing is fast, as the numbers say, and is well-built. It’s also easy to install, and the small factor means that it can fit in the smallest spaces. There are also M.2 SSDs available in the market, that are even faster and more space saving. They don’t come in cheap though. If your budget permits, and your board allows, by all means, go for those. But for those who can’t, the SSD220S is still a great option.